Superior midscale hotel for guests visiting for business, trade fairs and events, as well as city breaks and family getaways. 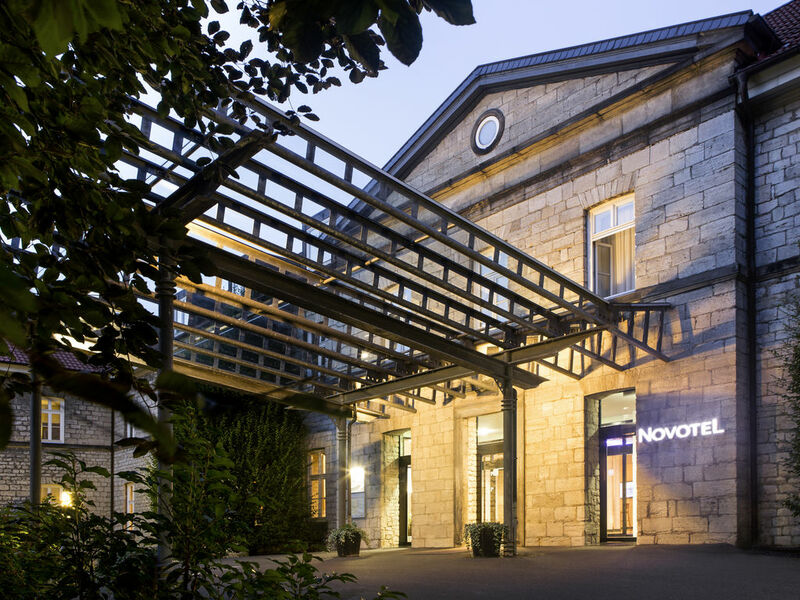 The Novotel Hildesheim features historic architecture and is surrounded by an idyllic park. At the heart of the city, not far from the main train station and city center, the hotel is an excellent starting point for stays in this historic city. Offering a large number of rooms for events, the 4-star Novotel is ideal for a range of business and private occasions. Spacious, contemporary in design, and adaptable, the Novotel room is truly a place for living. Perfect for all your needs. In the spacious Sültino restaurant, which can seat up to 150 people, you can enjoy exquisite Mediterranean dishes and fine wines in a contemporary atmosphere. We open daily at 6.30am and are available to cater for your every need until 9.30pm. Kennedy's bar is the perfect place to unwind with a revitalizing drink after a hard day. Open daily from 5pm to 2am, the bar also serves light American-style snacks. Jättebra, trevligt mysig miljö fräsha rum.